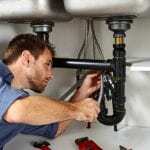 Choose us as your plumbing company for superior service. Your plumbing company should do more for you than just keep your plumbing system in good working order – they should be there for you when you need them, provide prompt and reliable service, and go above and beyond to exceed your expectations. At Carolina Plumbing & Repair, we’ll do all of those things for you and more! 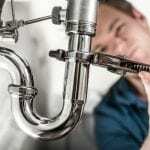 There’s a reason why we’re one of the top plumbing companies in the Raleigh, North Carolina area, and it comes down to the quality of our service. We’ll show up on time. We understand that you’re busy, and we won’t hassle you by being late or delaying your appointment. We’ll thoroughly and accurately assess what needs to be done, so we can give you a comprehensive estimate. We’ll get to work doing the install, fixing the problem, or performing maintenance work. We’ll do the job right the first time, so you don’t have to worry about issues later on down the road. We’ll go over the work we did and answer any questions you have about future maintenance, problems to watch for, etc. You need a plumbing company you can trust, and CPR is that company. 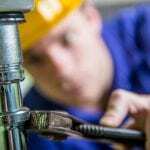 Find out more about our service area, services we offer, or anything else about our plumbing company by giving us a call today. We look forward to serving you!